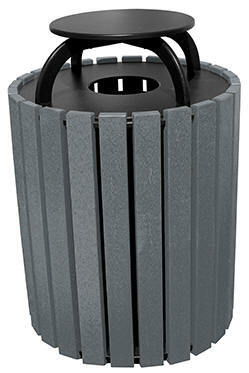 The Economy 22 gallon receptacle represents both value and quality in a space-saving design. 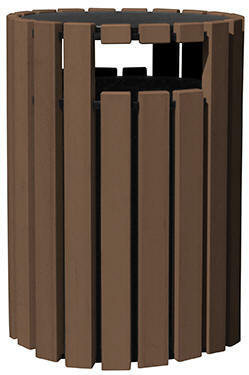 Made in America of 100% post consumer recycled plastic, it is available in (3) three slat colors with a black top. 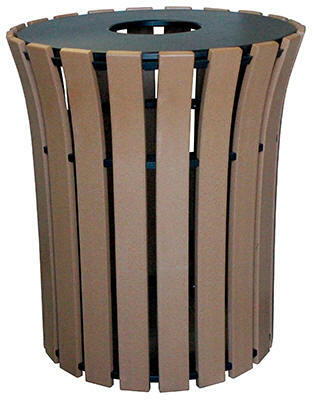 It is not only a sustainable product, it can be used for trash or recyclable items with custom engraving available on the top, contact factory. 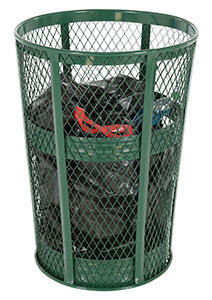 The large capacity 33 and 49 gallon receptacles can be used for trash or as part of a recycling station. 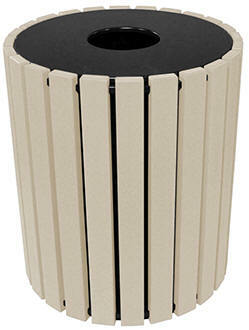 Made in America of 100% post-consumer recycled plastic, includes an inner plastic liner and are available in (3) three colors with a black top. Stainless steel fasteners ensure a rust resistant, long life and are internal to provide a clean, blemish-free appearance. 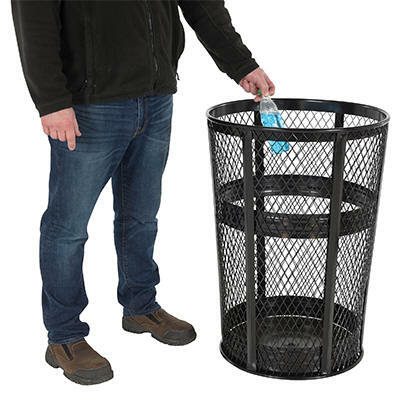 Keep your environment clean and keep plastic out of the landfill at the same time. 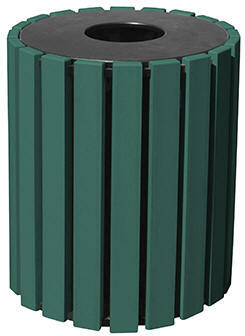 We've added flare to utility with our Round Flare Top Receptacle! 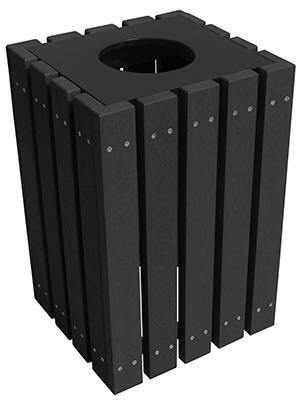 The unique design has an inner liner and 33 gallon capacity. 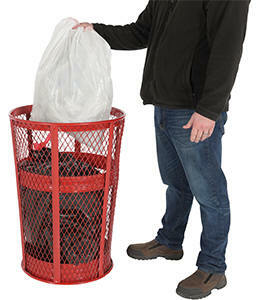 Made in America of 100% post-consumer recycled plastic. 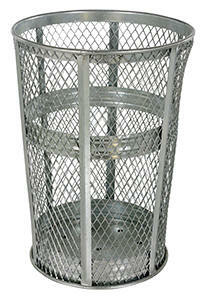 It's eco-friendly while helping keep trash/recyclables in their place. easily without the need of extra personnel when empty. Available in a variation of colors.